Read-aloud books about travel and friendship for children ages 2-7 years. Currently available for purchase at Amazon and in-store at The Bookies Bookstore in Denver! Chicken Pot Turtle is no ordinary chicken. He wears a pot on his head like a turtle shell and loves to travel. On his adventures in Iceland he almost gets eaten by a big blue whale, sees a geyser powerfully erupt in the air, and meets a new friend. Join Chicken Pot Turtle as he discovers the unique culture of Iceland! Available in English & Spanish. 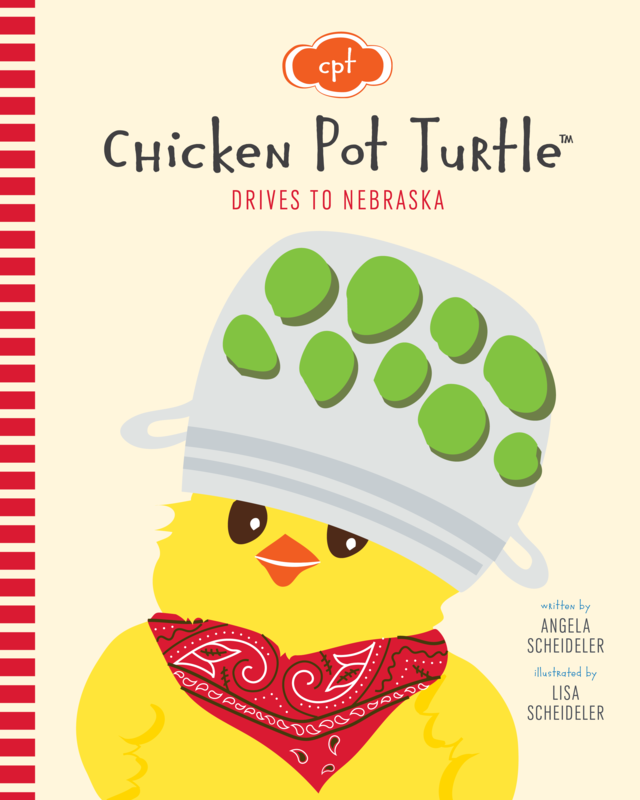 Join Chicken Pot Turtle as he takes a road trip through Nebraska and visits his longtime friend Pig Pan Armadillo. Together, the two pals explore the big city of Omaha, have fun on the farm, and cheer on the college football team in a sea of red. Discover the wide open plains, magnificent sunsets and comforts of middle America. 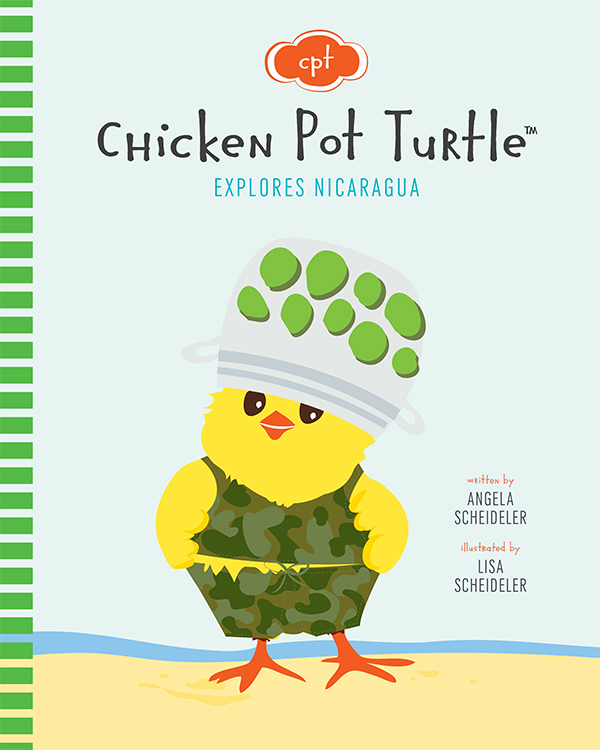 Get excited as Chicken Pot Turtle and his friends Noodle and Poodle explore Nicaragua! Tour the charming cities of this Central American country and follow along as the three travelers taste local street snacks, spot a Motmot in the tropical rainforest, and come face-to-face with an active volcano. Encounter some extra surprises along the way! 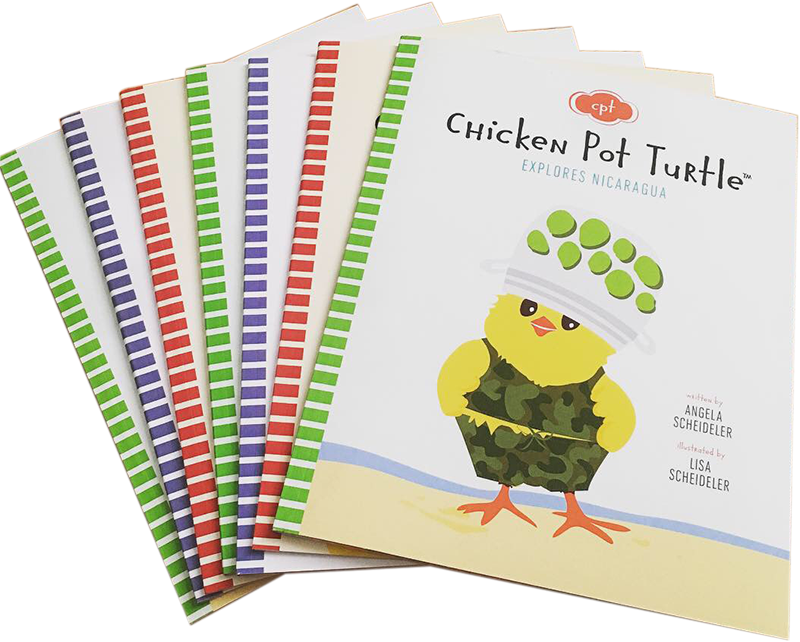 Chicken Pot Turtle was created in 2012 when our illustrator’s son Finn (four years old at the time) and his Dad were reading books together. Inspired by the stories they read, the two began making up characters of their own with silly names and funny tales. Chicken Pot Turtle “stuck” and for days Finn ran around the house yelling “Chicken Pot Turtle”, “Chicken Pot Turtle”! 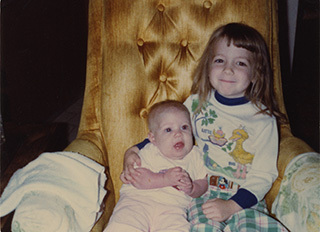 Our little character became a popular topic at the dinner table, during playtime and at dance parties. He wouldn’t go away. 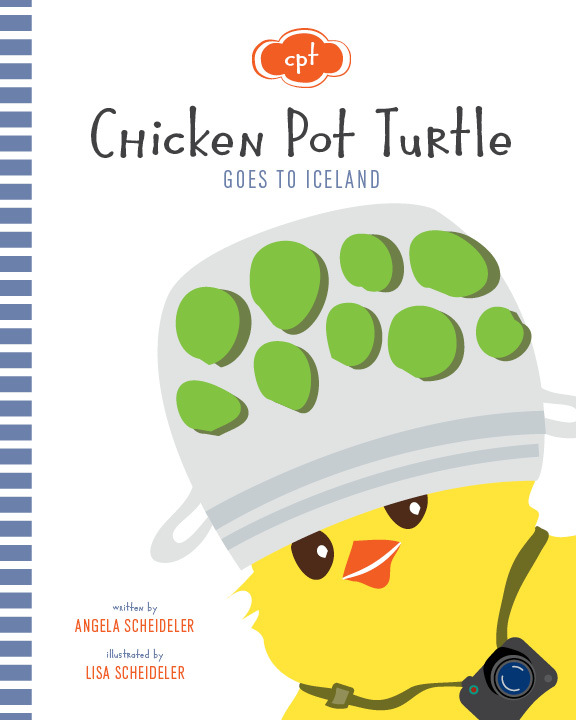 One day, auntie Angela (author) suggested we write a book about Chicken Pot Turtle. We all looked at each other with wide eyes and big grins, the rest is history. And because of our love for travel and exploring, the theme for our children’s book series was developed.